Buying groceries that are in season allows you to get the most bang for you buck. Not only are foods freshest during their peak months, they also tend to be more affordable. For cooks on a budget, there's no better way to minimize meal costs - without skimping on quality - than by stocking up on in-season foods and storing them all year long. Few things are as sweet and satisfying as a handful of summer berries. When these fruits are in their prime, they're perfect for adding to everything from oatmeal and yogurt to salads and pies. Unfortunately, berries grown during the off-season tend to be less juicy, more sour and lacking the fresh, rich flavor synonymous with their in-season counterparts. Blueberries, raspberries, blackberries and strawberries are all tastiest when picked and consumed in the heart of summer. When browsing the produce aisles or skimming the farmer's market selections, be sure to look for berries that were harvested at peak freshness. Ideally, the fruit should be vibrant in color and firm to the touch. Preserve the fruit using The FoodSaver® FM1510 Fresh Food Preservation System's convenient Fresh Containers. 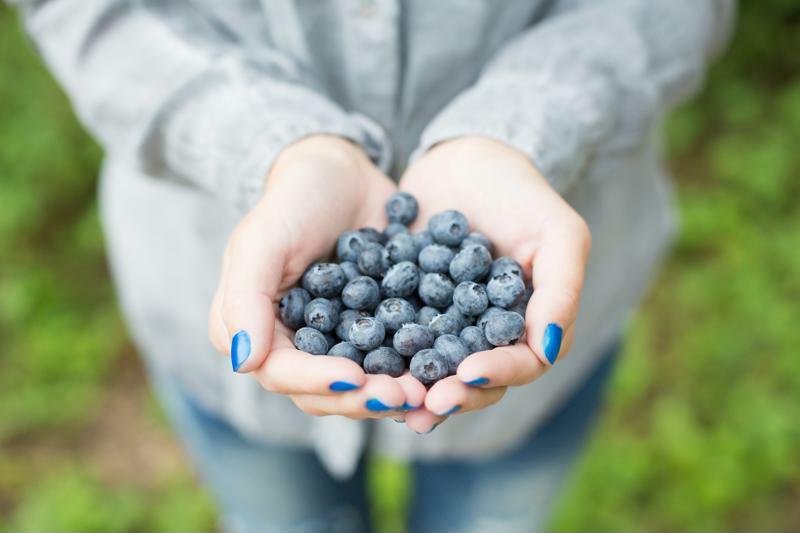 Whether you pick them yourself or purchase them in a store, fresh blueberries are the perfect summer food to stock up on. Grocery stores love to capitalize on barbecue season, which means they tend to offer amazing deals on grill-friendly cuts of meat like chicken wings, burgers, sausages and hot dogs during the warmer months. While these products are most popular in the summer, they're great for eating year-round as well. By buying meat in bulk during summer discounts and keeping it frozen in The FoodSaver® FM1510 Fresh Food Preservation System's freezers bags, you can curb your grocery costs all year. If your family likes to go crazy with condiments, consider stocking up on items like ketchup, mustard, relish and barbecue sauce as well, since these tend to go on sale alongside these meats. The difference between fresh summer corn and off-season corn is all in the flavor. Corn harvested in the summer months is so juicy and sweet that many vegetable enthusiasts eat it raw, while off-season cobs definitely require some culinary magic to improve its flavor. Serve your family the freshest, most delectable corn long after summer ends by purchasing it now and preserving it using The FoodSaver® FM1510 Fresh Food Preservation System. Instead of stocking up on full cobs, try scraping the kernels off into the Fresh Containers. That way, you'll take up less freezer space while saving more food. If summer has you craving healthy, refreshing slabs of melon, you're certainly not alone. Fresh, seasonal varieties like watermelon and cantaloupe are the perfect good-for-you snack on a hot day. Low in calories and high in water content, there's no better food for cooling off, replenishing your energy and satisfying your sweet tooth. Even the pickiest of eaters have a hard time turning down fresh summer melon - it's the closest thing to nature's candy. Purchase watermelon and cantaloupe throughout the summer, cut them into chunks and preserve them in the freezer using The FoodSaver® FM1510 Fresh Food Preservation System. Throughout the colder months, you can savor summer flavors by adding frozen melon to foods like smoothies, ice cream and yogurt. For a fun alternative to sugar-laden frozen treats, simply insert popsicle sticks into melon chunks and add them to The FoodSaver® FM1510 Fresh Food Preservation System's Fresh Containers.